Survival Tips for Indoor House Plants While on Vacation? I recently returned from an 8 day trip while leaving my babies at home, unattended. 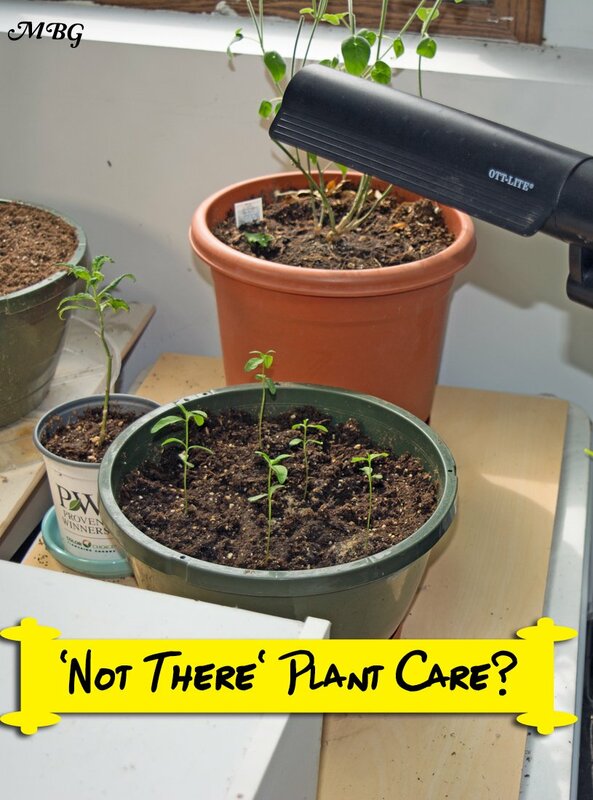 No need to call child protective services…I’m talking about our precious little plants! These are the butterfly plants I’ve been overwintering since last fall and also the milkweed seedlings we started indoors this spring. 8 days is a long time to leave your plants unattended, but I knew it was not an impossible task. 1. Trim foliage of mature plants the day before leaving so they will require less water during your absence. 2. Water all mature plants and seedlings thoroughly the night before leaving. Use a hydrogen peroxide mixture to kill any potential fungus gnat eggs lurking beneath the soil. 3. 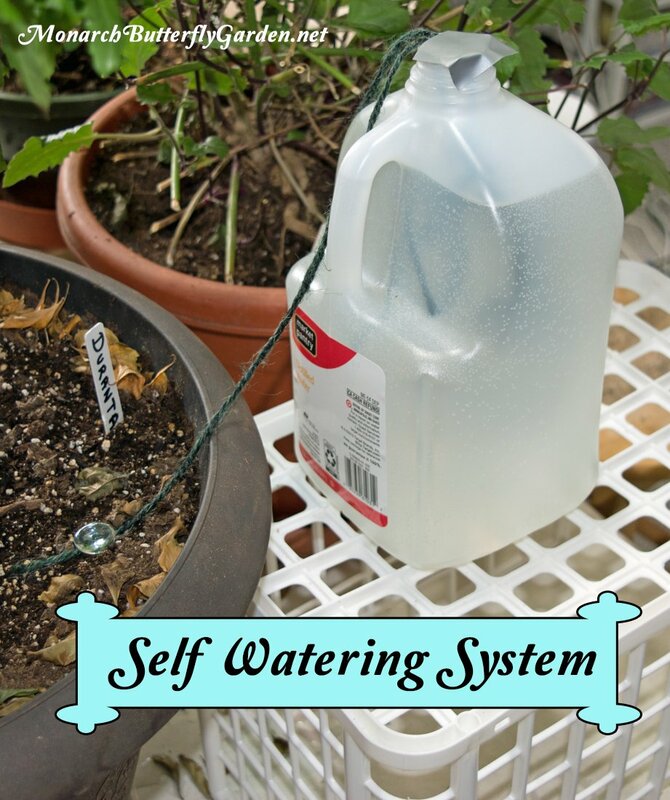 Place gallon jugs of distilled water around the plants. You can also fill up empty gallon jugs with tap water. 4. Cut long pieces of natural twine to put inside the jug with just a few inches remaining outside. I used 34″ pieces of twine and that worked well for me. I put 3 pieces of twine in each jug, so one jug was used to water 3 plants. 5. Tape over jug openings with duct tape to slow down evaporation. 6. Place the jugs next to your plants. 7. Place the remaining end of each twine piece inside one of your pots so its laying on the soil. 8. Place something on the end to hold the string down. I used flat vase fillers and they worked well. I also use these fillers to secure stem cuttings when raising monarch caterpillars indoors. 9. The water will travel through the twine and into your soil as needed. 10. Give your plants some natural light by a window. Keep in mind, the more sunlight they get, the faster the soil will dry out. 11. Make sure the twine is relaying moisture to plants before leaving. This simply means the twine should be wet. You’ll also want to make sure the added weight from the moisture hasn’t pulled the twine end outside the plant pot. This happened to three of my twine pieces. After I secured them the second time, they all stayed put for the 8 day duration. 13. 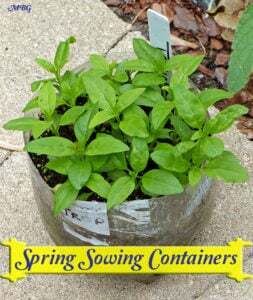 Transplant any seedlings into larger containers if they are in seed starting trays or small cups. If your twine somehow fails while you are away, your seedlings will likely be dried up and dead upon your return. At least, take this precaution for your most prized seedlings. 14. Get a grow light timer to give seedlings adequate light. I left ours on about 12 hours a day. Because the root systems of seedlings require less water, they will likely be fine without twine. However, it’s an added layer of insurance. After using these tips on a recent vacation, I came back to find all of my plants looking healthier than they did before I left! My prized Swan Milkweed seedlings looked fantastic as they soaked in sun from a window and their incandescent light. The incandescent desk light worked fine, but keep in mind the plants were also receiving a couple hours of natural sunlight too. If you’re buying plant lights t5 grow lights or cfl grow light bulbs are better options for promoting healthy plant growth. I’m not sure how long I could have left these plants alone, but I’m guessing they all had at least another week without drying out…pretty amazing! 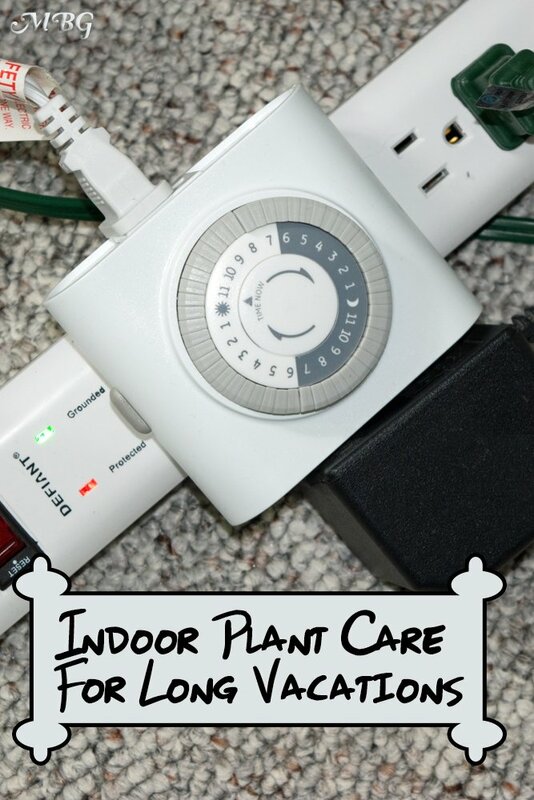 Have you tried tried caring for indoor house plants while out of town? What’s worked well? What lessons have you learned? Please comment below to share your experience. Hello! Do you think I can use this tip to not have to water my plants every other day, as long as I keep those gallons full? The thing is that I have some plants at work and and a slightly remote place, so it takes a lot of time to take care of them. It goes without saying that I will check them everyday to make sure everything is ok.
You were gone 8 days……how much water was left? I want to be gone for a month. Hi Jane, none of the containers was in danger of running out of water, but I’m not sure if this would work for a month…use the biggest containers you can find. good luck! I have had the twine from bottle to plant for 2 days. Twine is wet about a third down. Any suggestions? I would try it again with a new piece of twine and maybe a different angle…good luck! I have an indoor/ outdoor succulent and it is growing like crazy. Can I remove the ‘pups’ without damaging the whole plant? The pups have grown from the base AND half way up the plant. I had never thought to trim the foliage of mature plants the day before leaving so that they don’t require as much water. It makes why this would be a good idea to do on a healthy plant. Whenever my mom goes on vacation with my dad she comes back to a houseful of dead or dying plants. She usually has replace most of them within a week or two. I’ll have to mention this to her the next time she plans on going somewhere. love all your interesting and helpful info. I have a lot of milkweed seeds. When should i start them in pots? Glad to hear you had a nice week in Hawaii. Great idea you came up with for keeping your seedlings and plants healthy and happy while you were away. Just checked and the Monarchs are in Arkansas and a few have been spotted in Missouri, but not in my part of the state. I’ve got my pots of tropical milkweed set outdoors just in case any come this way though. The speciosa seeds I winter sowed in gallon water jugs are just now starting to come up so hopefully the plants will be big enough to support some caterpillars during the fall migration. PS I must have created that “flat vase filler” link before my morning coffee kicked in.. it is linked correctly now…thanks! Hi , I live in Adelaide Australia and was given a milkweed bush. 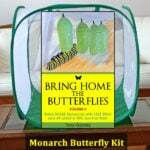 As it grew in the garden a beautiful monarch flew in and commenced laying many eggs. 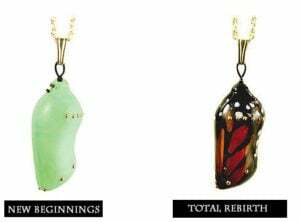 The first generation produced about 30 butterflies. Second lot were attacked by the dreaded European wasps and took half of them. Fourth generation produced over 40 caterpillars on milkweed bush (they stripped the Swan bush) and my grandchildren witnessed the birth of a butterfly. I have now grown more swan milkweed bushes in preparation for next spring(Sept to Dec). Just love them and are good therapy for me. Our milkweed bushes here in Australia are different to yours in USA. The swan milkweed leaf is long and slender and flower is white. Hi Cazzandra, what a beautiful experience to share with your grandchildren. Sorry about the wasps…there are lots of predators in the US too. I actually grow your “Aussie” milkweed here in Minnesota, but have to overwinter plants indoors. The monarchs here like it too. Continued success with your raising and gardening! Thank you so very much Tony, love this . 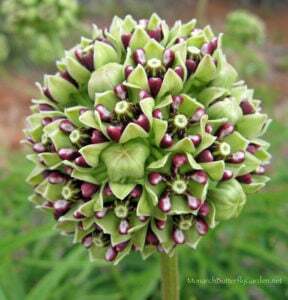 I have started 75 milkweeds . Excited to get planting. I live in Northeast Ohio & you have “butterfly friend” here. Thanks Becky and good luck with your seeds! Tony do you have any tips or comments re. germinating Blazing Star? It’s the only seed with which we are having no luck. Bought from Prairie Moon. Hi Derek, we started with plants and then have used fall division to multiply our supply. We have had some seedlings, but for as many seeds as they put out, the germination rate seems pretty low. Did you try a cold moist stratification in your refrigerator before planting them? I have been totally enjoying your emails. Keep them coming. I live in PA. Can’t wait to get started. Thank you Sarina, have a fantastic butterfly season!